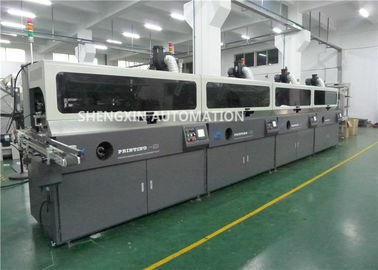 This is multi color screen printing equipment which has several fuctions. It is available to decorate the various kinds of round, oval, flat objects. 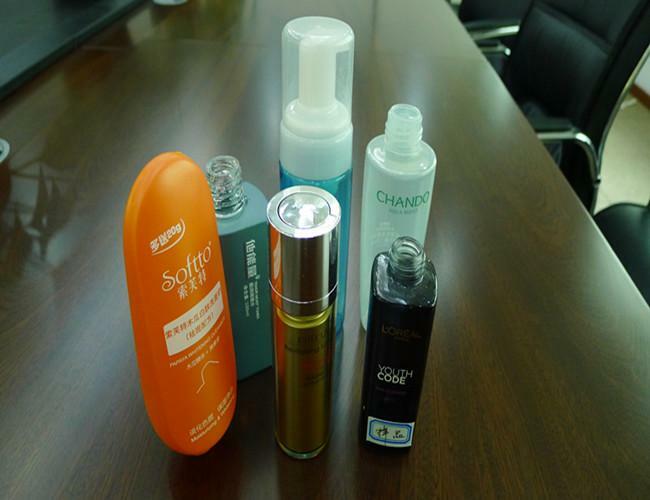 It is widely applied to the packing of Cosmetic / Lipstick / Perfume Bottle, etc. Widely accepted by the small and medium-sized enterprises due to its high quality price ratio. Plastic tube, cosmetic bottles, milk bottles, medical bottles, drinking bottles, lubricating oil bottles, glass silicon, pen sleeves, ceramic, and so on. 1. 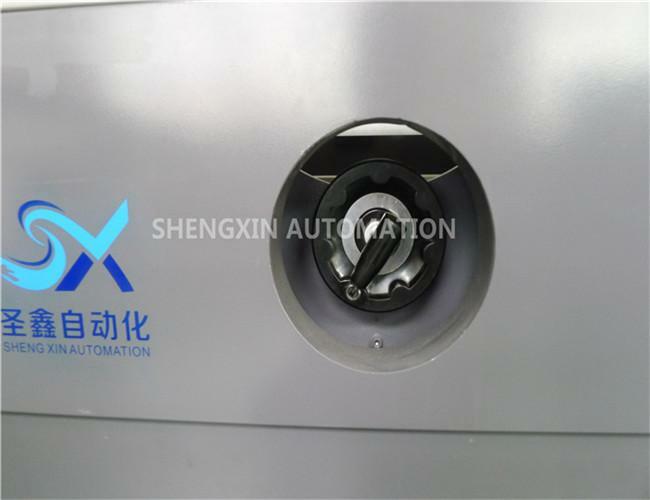 The innovative transmission system is very steady for passing the bottles, make it easy to shift between different types of bottles, easy to operate. 2. 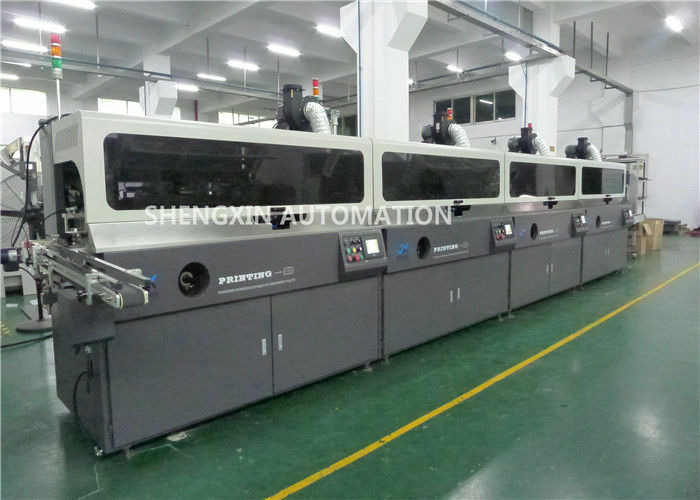 This machine can be connected up to 5 colors or more in split configuration, each module machine is independent and synchronous drive, accurate registration between colors, it has stable and reliable performance. 3. We control the machine by world famous brand PLC and touch screen display, with kinds of monitor system to ensure the machine running stable at high speed. 4. 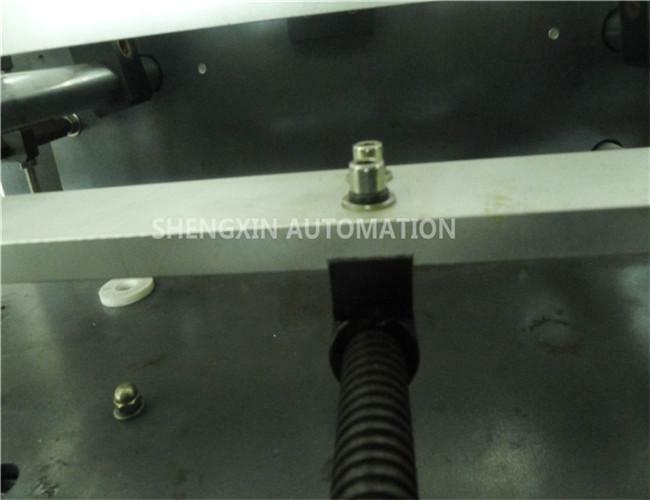 According to the characteristics of products, this machine can be designed with kinds of functions such as automatic loading and unloading, orientation, flame treatment, dedusting, automatic registration, non-printing without bottles , and UV Curing system, etc. 5. All components are from Germany, America and Japan to guarrantee the machine's quality and stability of printing.